What can you do if you want to get serious about estate planning, but your spouse doesn’t? 1. Consider ways to persuade a reluctant spouse to participate. First, give up nagging. In my years of financial planning, I’ve seen how ineffective it is from either an advisor or a spouse. Instead, it might be worthwhile to do some research and show your spouse some of the specific consequences of not planning. Depending on the complexity of your circumstances, you may find it worthwhile to consult an attorney, accountant, or financial advisor. You can also find a great deal of helpful information, such as state probate and intestacy laws, online. If you have no wills, find out how your state laws distribute assets when someone dies without a will. Show your spouse how that distribution would affect your family. In many cases, intestacy laws are still designed around a traditional one-marriage-with-children family structure. They may fail to provide for members of families that don’t fit that mold—for example, by disregarding stepchildren and stepgrandchildren. 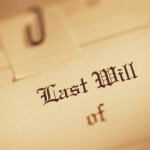 If you have wills but made them years ago, take a close look at their provisions. Show your spouse—with numbers, if you can—exactly who would benefit and who would not. Your spouse may be persuaded to take action if he or she sees the specific ways that yesterday’s wills don’t provide for today’s family. Even if this accomplishes nothing beyond convincing your spouse to destroy an outdated will, it may be worthwhile. An outdated will, in some cases, can be worse than none at all. It’s quite likely that neither of these approaches will succeed. This leaves you with the next-best option. 2. Do what you can on your own. With your own separate property, you can do any estate planning you want, including executing a will and setting up a living trust. I would also strongly encourage you to execute powers of attorney for financial and health decisions. However, you might be surprised at the limits on estate planning for assets you consider yours. One important provision is that married people cannot name anyone except each other as beneficiaries on retirement plans without the spouse’s permission. Suppose, for example, you would like to name your children from a previous marriage as beneficiaries on a retirement account as a way of providing fairly for them if your spouse died intestate. You would need your spouse’s consent to do so. 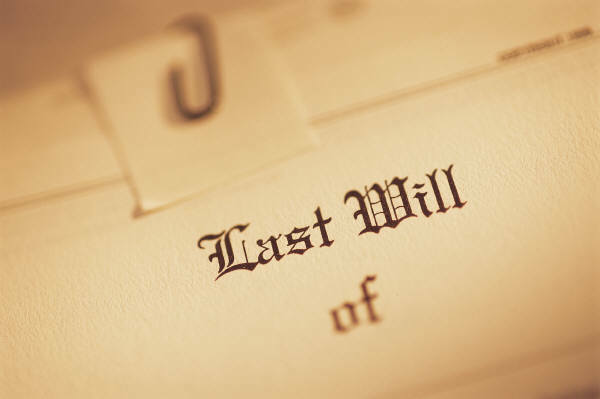 Also, a will executed by one spouse does not affect assets held jointly or in trust, annuities, retirement plans, or individually held bank or brokerage accounts that have a TOD (transfer on death) provision. Assuming you cannot persuade your spouse to participate in estate planning, and assuming you have done whatever individual planning you can, there’s one more step you can take. Do your best to create and maintain a complete inventory of assets you and your spouse hold jointly, as well as your separate retirement accounts, insurance policies, and other individual assets. Include account locations, approximate balances, and access information. Having this information will be invaluable if you end up as the administrator of your spouse’s estate. Ironically, the person who benefits most from your separate estate planning may be your non-planning spouse. Yet doing whatever you can will also help you be prepared, just in case you need to deal with the consequences of your spouse’s lack of planning. How much in lifetime earnings does it cost you to be a woman?